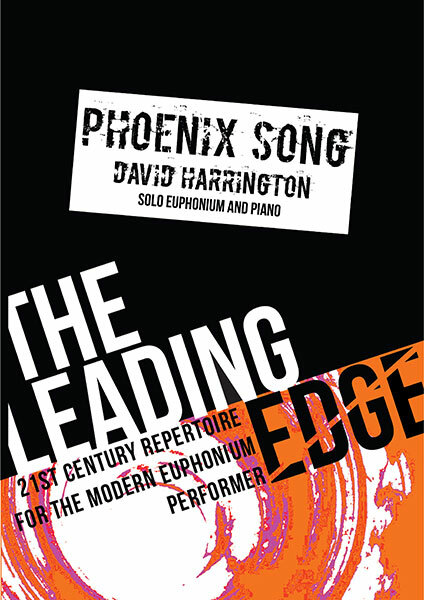 Phoenix Song is a dramatic and challenging fantasy for euphonium and piano. The piece was inspired by the myth surrounding the great firebird of Persian legend. According to the story, the phoenix spends 1,000 years living on earth before returning to its nest, only to incinerate itself in enveloping flames as if part of an eternal ritual. The spirit of the bird is then released and reborn in new body. I wanted to recreate this enchanting lifecycle in music, using the euphonium to personify the legendary bird, and capture the song that the phoenix sings on its perpetual journey. The work is divided into a storyboard of events beginning with the bird’s flight back to the nest, a reflection on the nostalgia of its heroic life, moving onto the discovery of the nest, the incineration and finally the rebirth of the bird. The euphonium part is highly decorated and aims to sound organic and improvisatory, particularly during the quasi-cadenza at the very beginning. Virtuoso, precise and expressive playing is required in the faster sections. The euphonium is given much lyrical writing in equal measure to passages requiring aggressive gusto and command by contrast. The role of the accompaniment is to reinforce the scene painting, whilst twisting and turning the thematic material, propelling the story forward. The very heavy-sounding piano passages extending to all registers of the instrument reflect the vast life span of the bird, coupled with violent flutter tonguing from the euphonium (towards the end of the work) to resemble the furious flames of the nest. 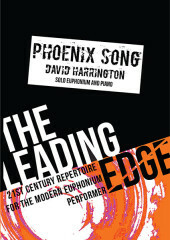 This article was posted in New Releases, Sheet Music and tagged David Harrington, euphonium, Leading Edge Series, sheet music on 7 May 2015 .